Chest pains may be symptomatic of several different serious conditions and are usually considered to be a medical emergency. Although it may be that the chest pains are not related to the heart, they can still be quite serious. If you or a loved one is experiencing chest pain, the emergency room's normal approach involves eliminating the most dangerous causes: heart attack, pulmonary embolism, cardiac tamponade, and esophageal rupture. By eliminating these conditions from consideration, a diagnosis can be made of the origin of the pain. Chest pain information tells us that if acute coronary syndrome is believed to be the trigger, patients are often admitted to the hospital for brief observation, tests such as ECGs, and determining the level of cardiac enzymes over a period of time. The doctor will want to review your medical history for chest pain information in order to rule out more dangerous causes of the pain. Sometimes the doctor can perform these tests quickly, other times a more thorough test may be required involving hospitalization. What Are The Symptoms of Chest Pains and What Causes It? There are many possible causes of chest pains. Heart attack, although commonly thought of as the only cause, is only one of many possible causes. Current chest pain information tells us that possible causes include: acute coronary syndrome, aortic dissection, arrhythmia, angina pectoris, pulmonary embolism, pneumonia, pleurisy, and many others. Angina pectoris, typically known as angina, is severe chest pains because of ischemia (a lack of blood), and therefore a lack of oxygen supply to the heart muscle. It is normally due to the obstruction of the arteries or a spasm. The main cause of angina, coronary artery disease, is caused by hardening of the arteries, according to current chest pain information. Increasingly painful angina attacks, sudden angina during rest, and pains lasting over 15 minutes are symptomatic of unstable angina according to the latest in chest pain information. This may indicate an impending heart attack and requires rapid medical attention because it is treated as if one is occurring. I Am Having Chest Pains, Should I Seek Medical Treatment? It may be a good idea to call 911 for emergency transportation to the hospital if you are experiencing chest pains, especially if they are new. Do not attempt to drive yourself. Considering that heart attack is one potential cause of the pain, this condition is something to take very seriously, even though the cause may prove to be less severe. You will not know until you are examined by a medical professional. 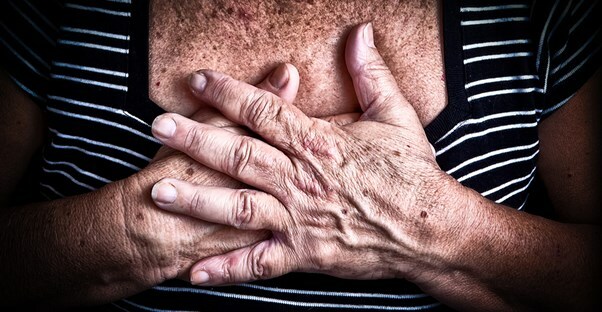 Chest pain information tells us that angina can mimic a heart attack or another condition, so the best practice is to seek medical attention quickly. If you are, in fact, having a heart attack, you need prompt medical attention because the longer a heart is starved of oxygen, the more damage is done to the heart muscle. If your pain is due to a serious medical condition, doctors can select the appropriate intervention to lower your chance of death or severe illness. You will not know the cause until you seek that help. You can have peace of mind by seeking that medical attention promptly. You should not feel embarrassed that you are "wasting everyone's time" or anything like this. You are always making the right choice when you take it seriously.